EDITOR’S NOTE: Our review of the lobster is right here. Aldi is legendary for its low prices on your staple food products, but what’s sometimes less well known is how good the grocer is at finding ways to sell premium food at cheap prices. Whether it’s snow crab, king crab, or a quality cut of steak, Aldi has a number of offerings across its Regular Buy, ALDI Find (Special Buy), and Seasonal Favorites lineups. So, just in time for Valentine’s Day, Aldi is selling a whole lobster for $10. Aldi’s teaser photo. It probably doesn’t look *quite* like that in stores. Aldi has sold lobster tails before. It’s also sold whole lobsters in the past under the Sea Queen label. This year, it’s the Fremont Fish Market Whole Lobster, a relatively new entry among the Aldi private house brands: the grocer just started using it back in October, possibly as a successor for the Sea Queen house brand. 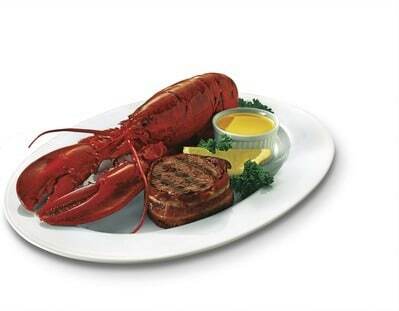 It’s the whole lobster, weighing in at 18 ounces, or 1 1/8 pounds. So, what’s the catch? Well, probably the biggest is that it’s frozen, but there is research (yes, someone tested this) to suggest that the taste difference between fresh and frozen lobster isn’t as big as you might think. And our own writer, Elizabeth, liked last year’s version. So while you shouldn’t expect to see a lobster tank at your local Aldi, there’s still a lot to like about this situation. The Fremont Fish Whole Market Lobster is an ALDI Find, which means that once it’s gone from shelves, don’t expect to see it again for a long time, probably not until next year. So if you want it, don’t wait too long. The whole lobster hits stores in late January, with the exact date dependent on whether your ads start on Sundays or Wednesdays. In 2019, expect to see them on Sunday, January 27 (for Sunday ad stores), or Wednesday, January 30 (for Wednesday ad stores). 18 oz. = 1 1/4 lbs. We’re both wrong. 18 ounces is 1 1/8 pounds. I fixed it in the post. We bought the whole frozen lobster at Aldi’s and are very disappointed. There was no meat at all in the claws and a very small body. It’s a total ripoff — good looking package with nothing inside.. Will never buy it again.